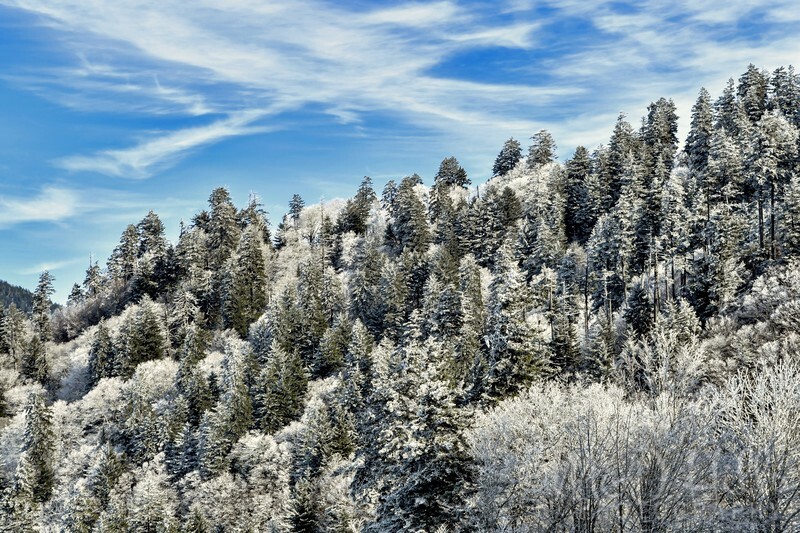 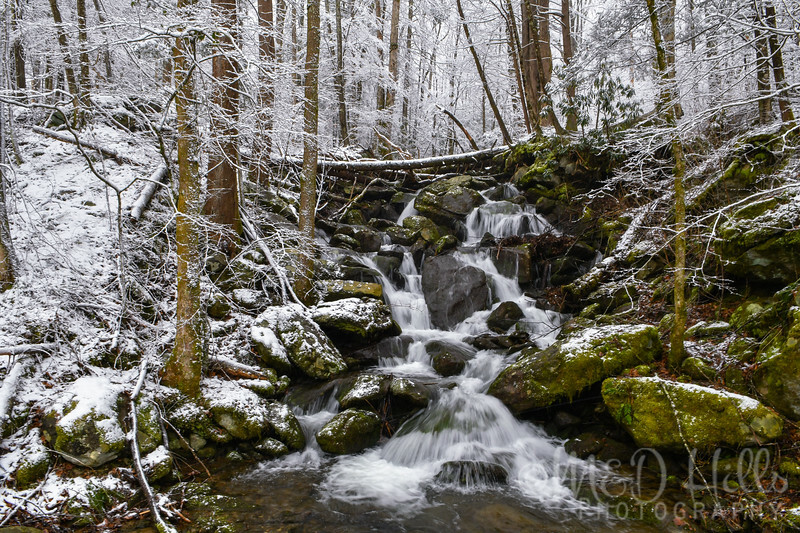 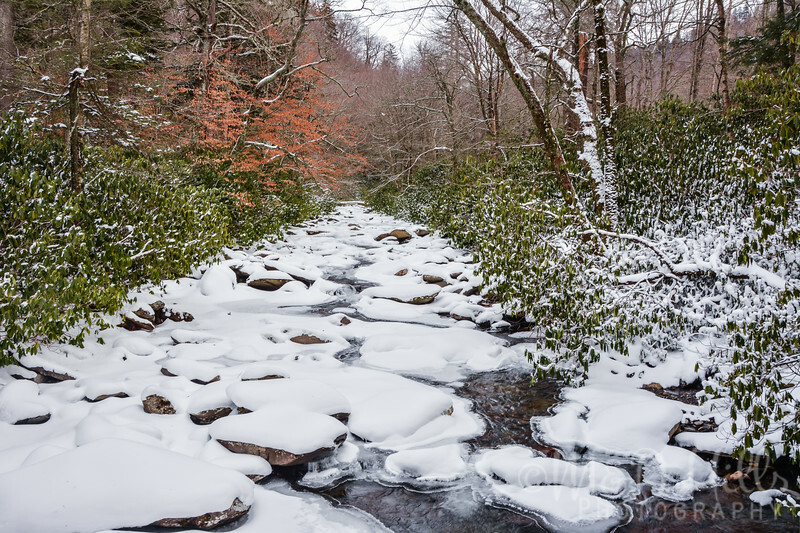 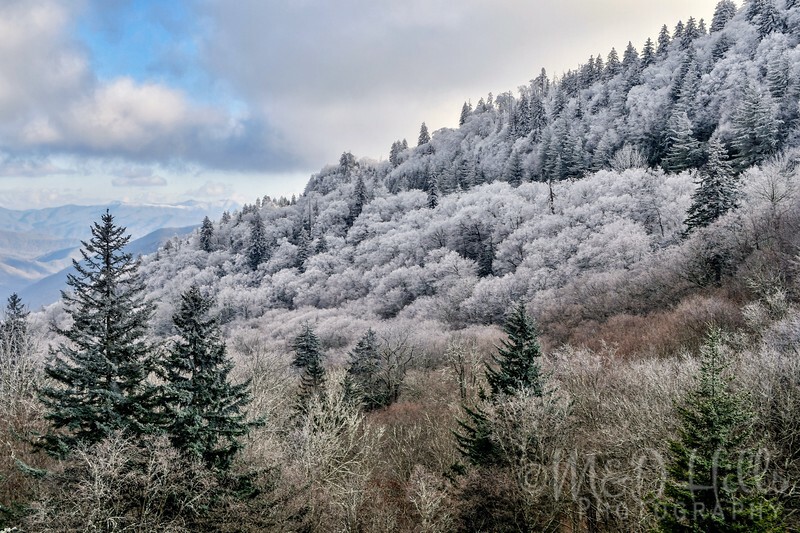 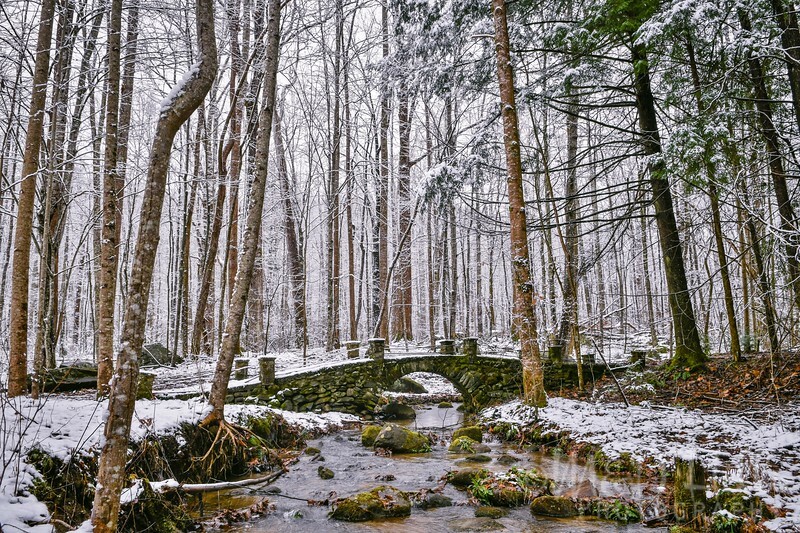 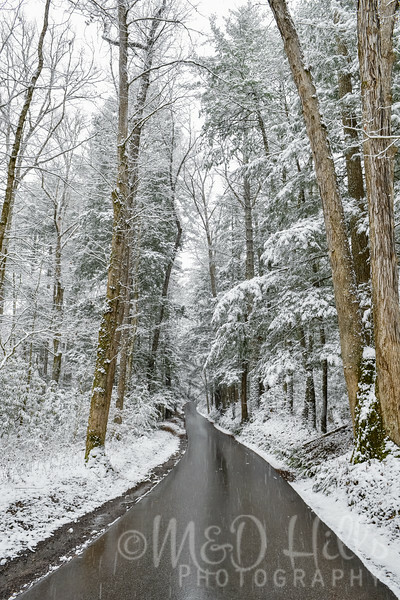 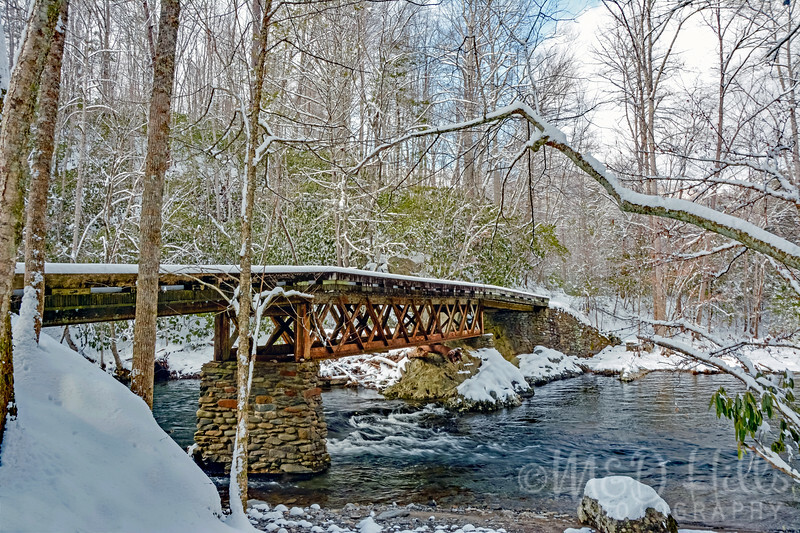 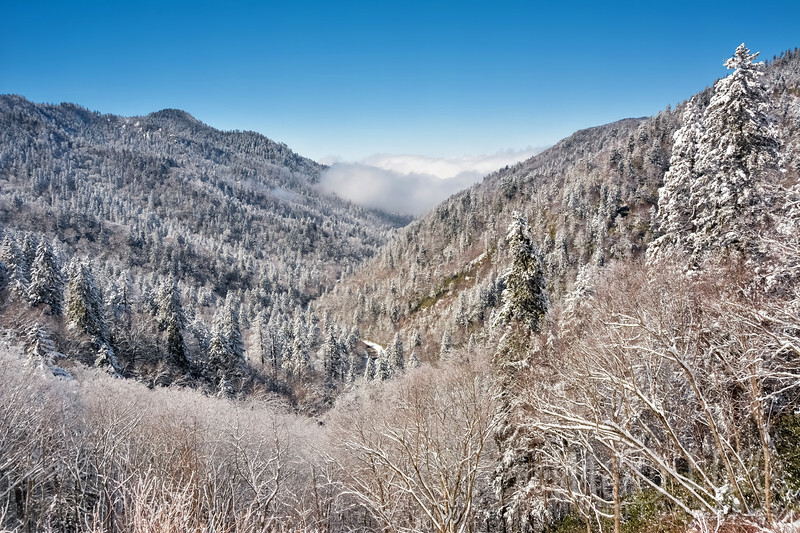 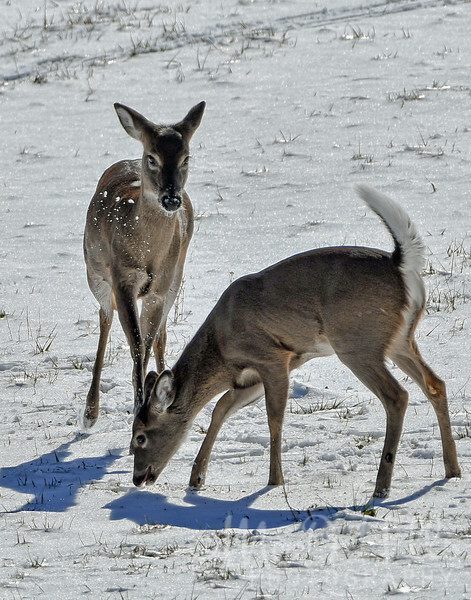 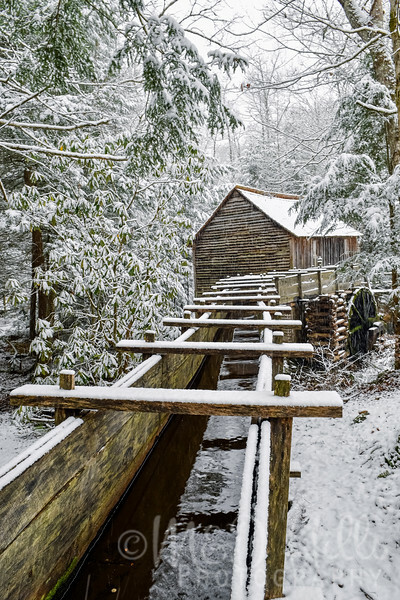 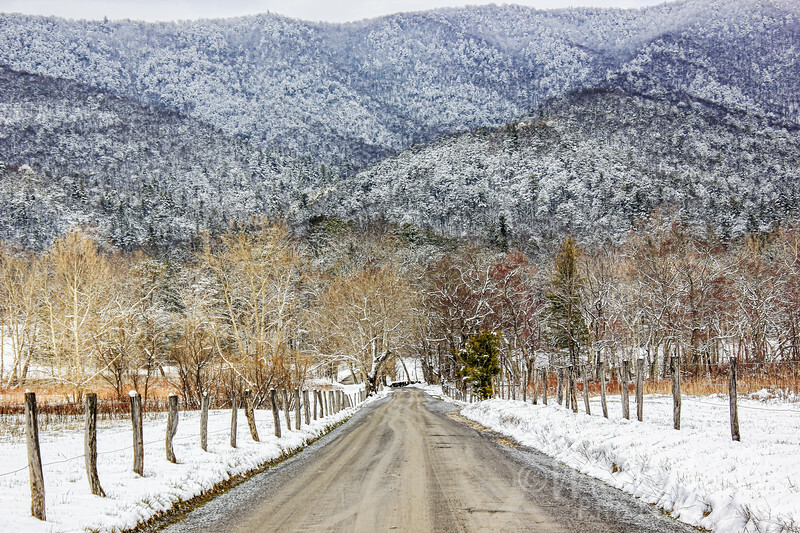 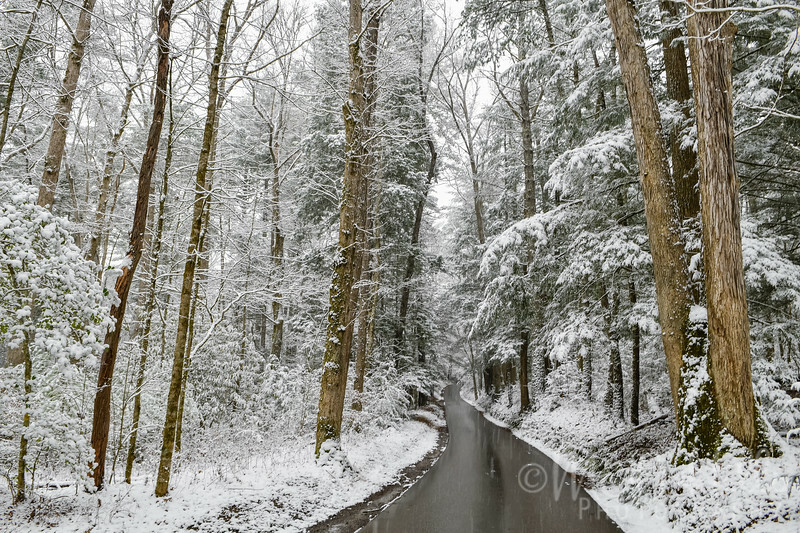 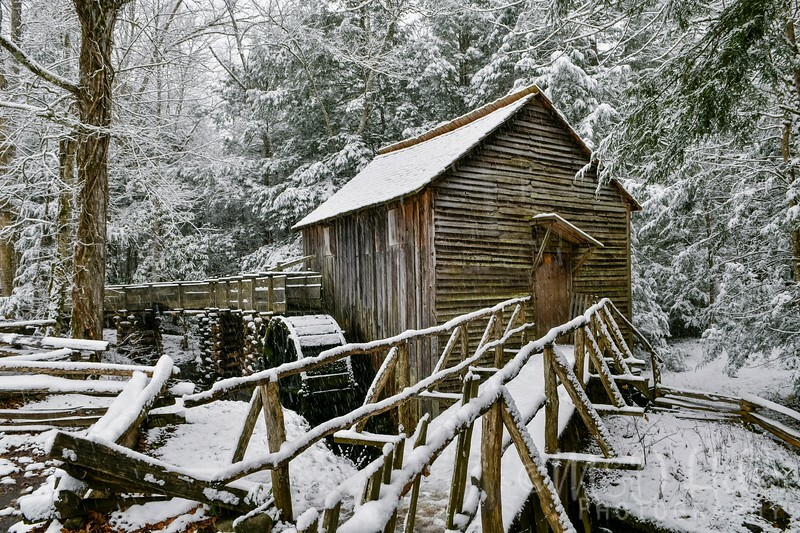 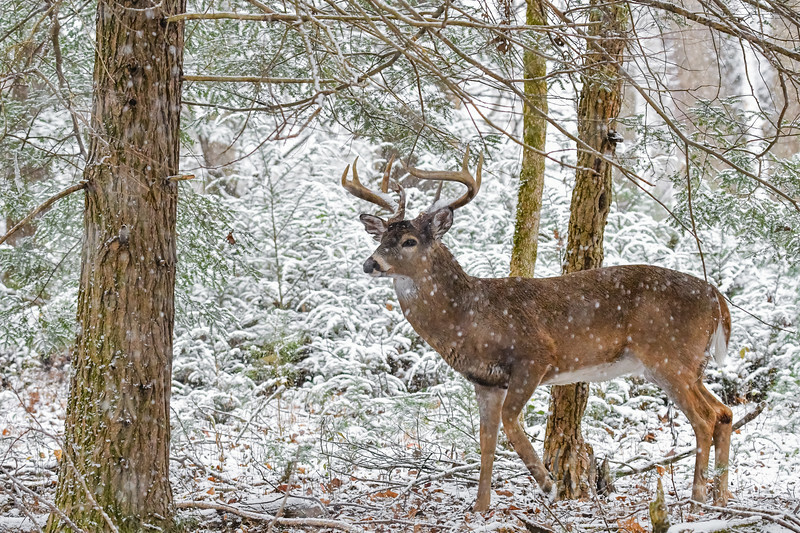 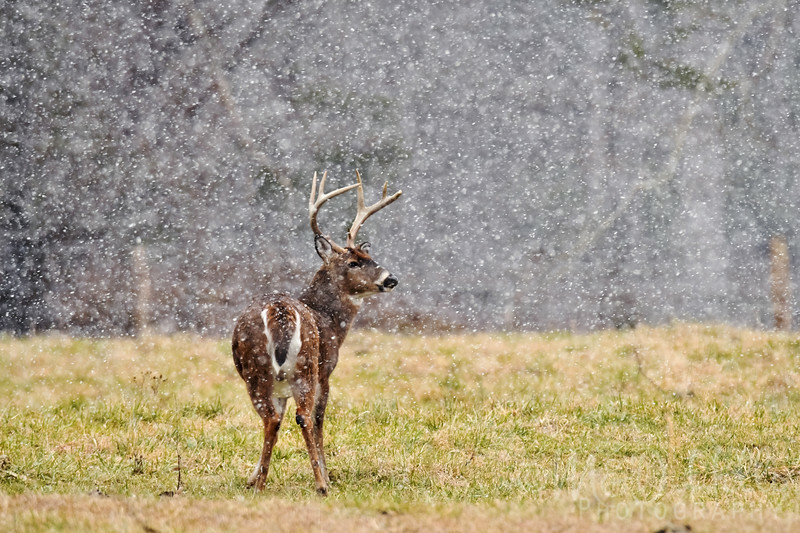 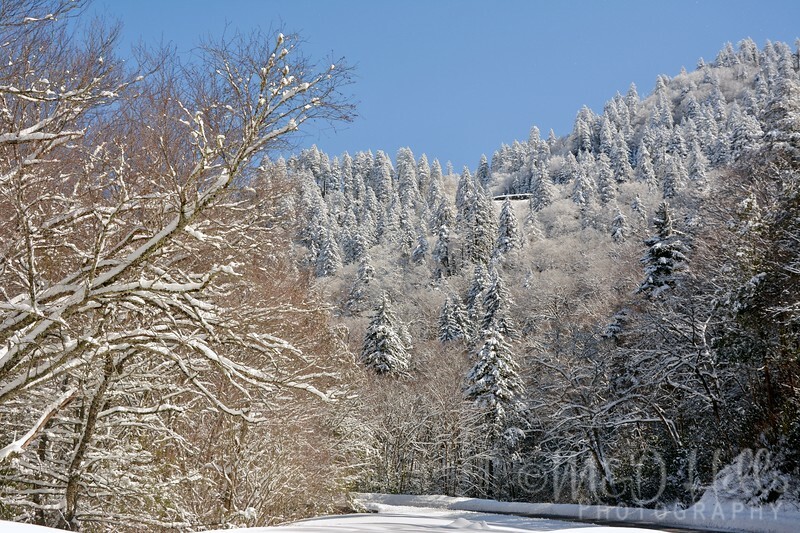 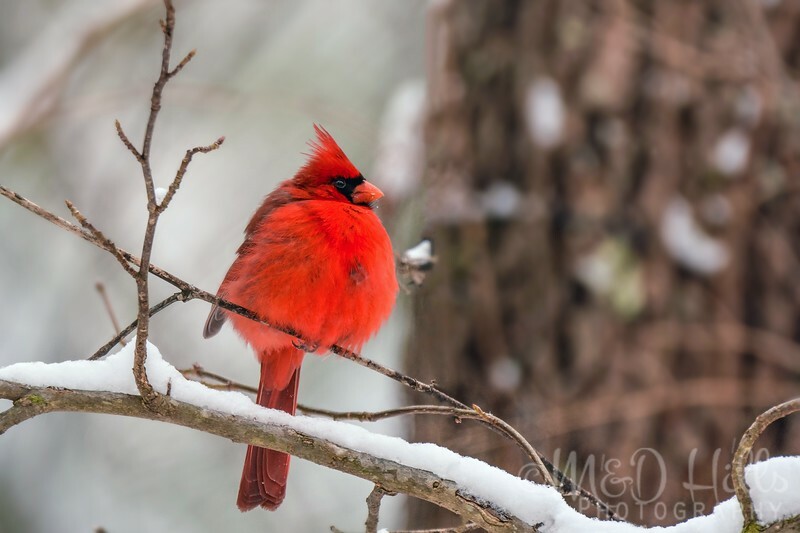 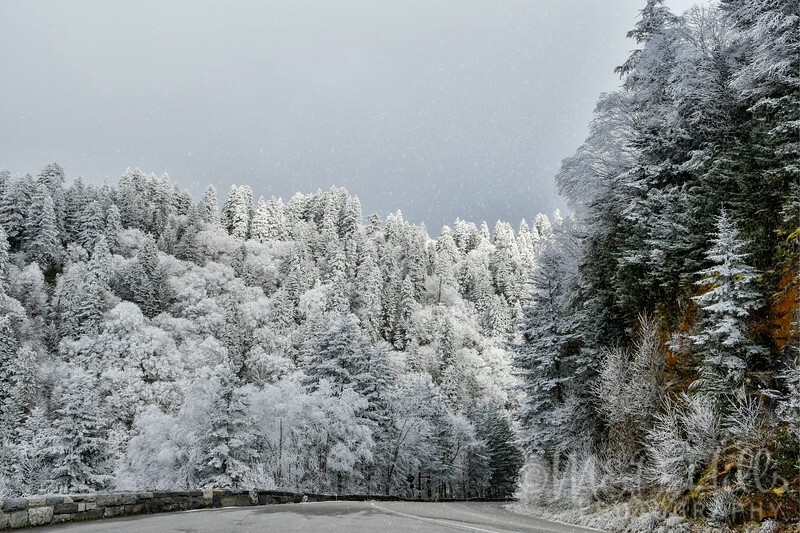 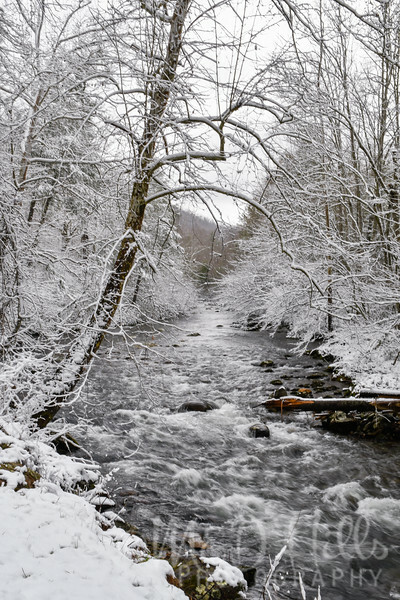 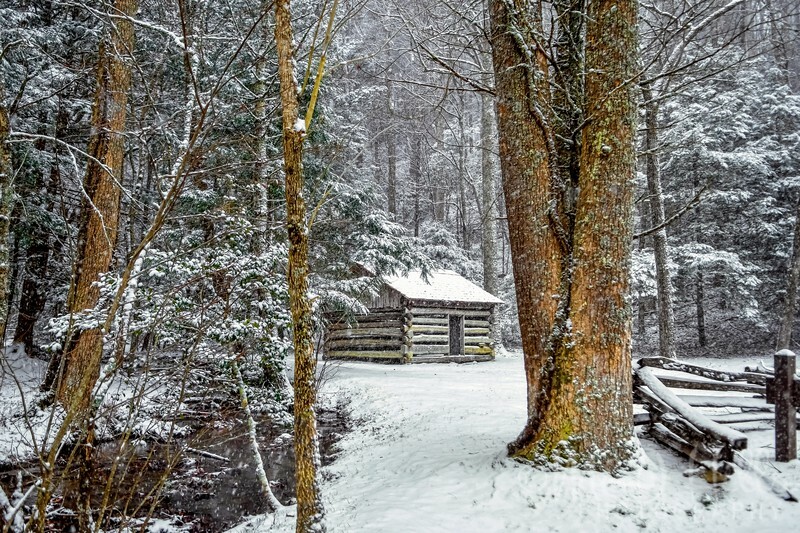 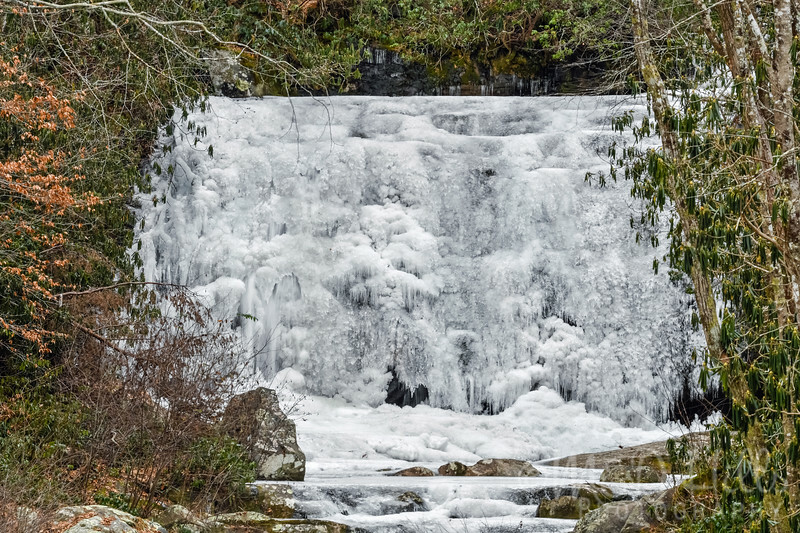 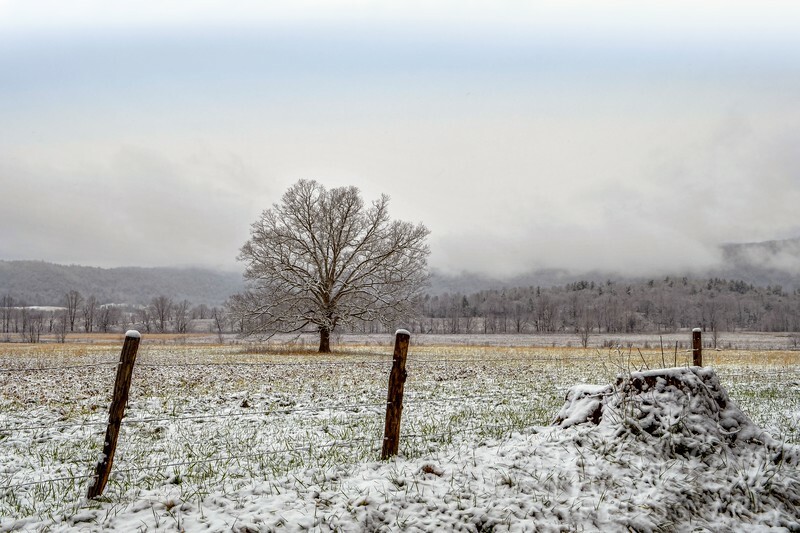 In our humble opinion, there is nothing quite like snow in the mountains, especially here in the Smokies. 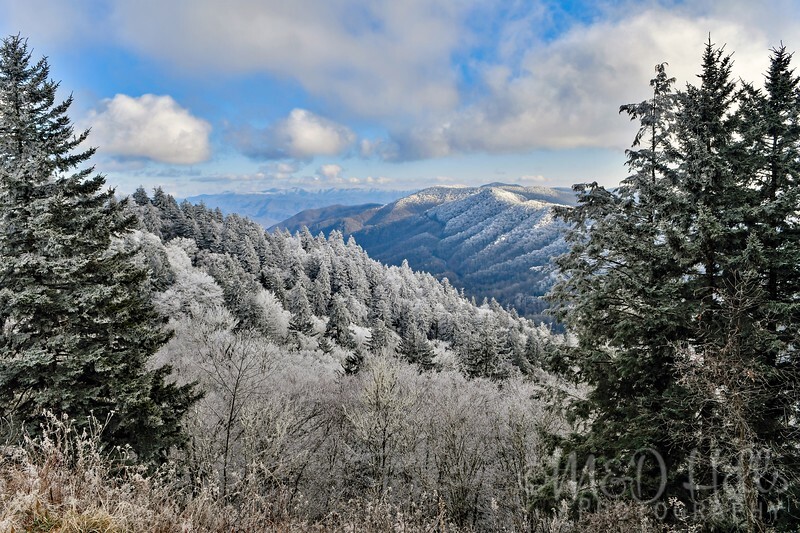 Great Smoky Mountains and East Tennessee. 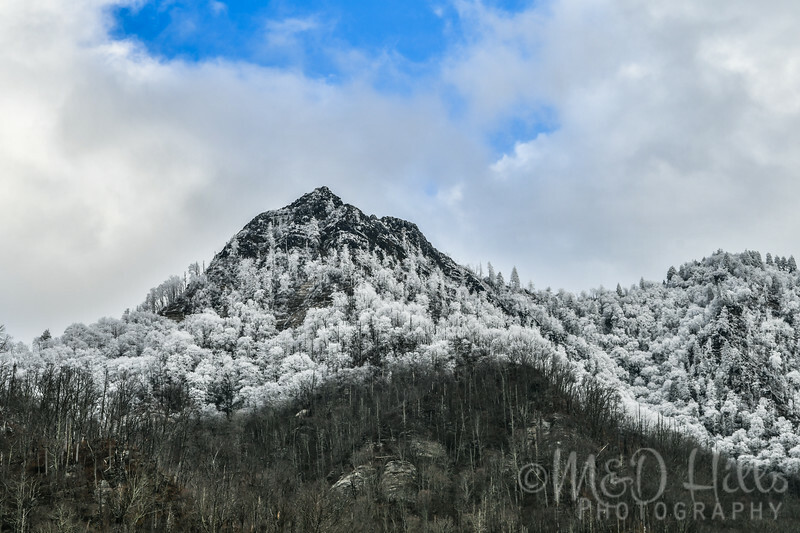 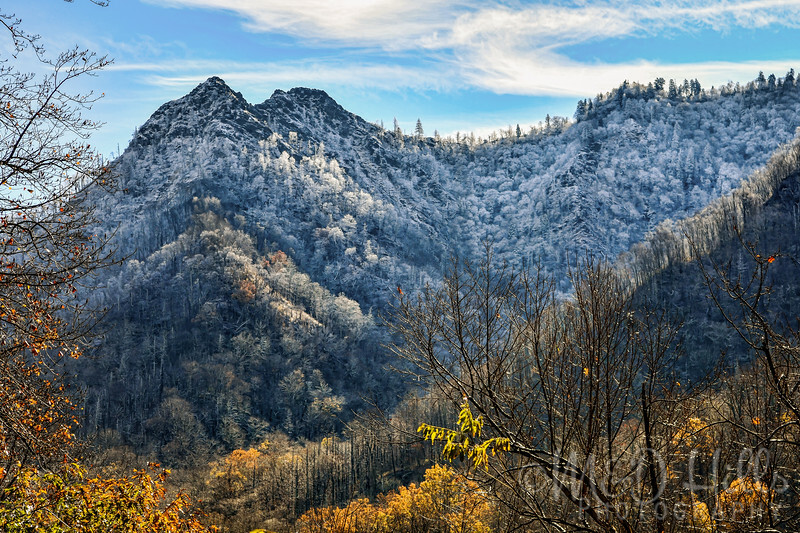 The beloved Chimney Tops pinnacle on a cold, winter day in the mountains. 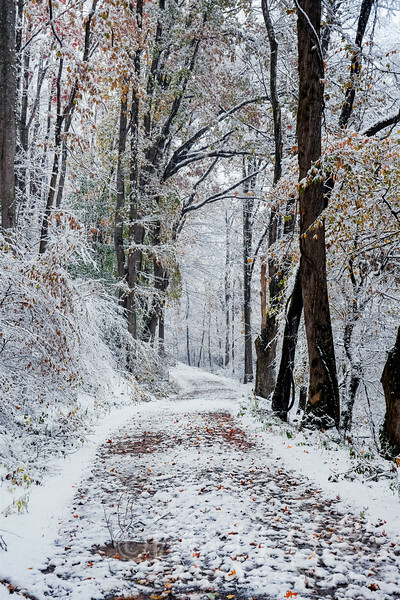 Various winter colors unite to create this beautiful winter scene on Sparks Lane. 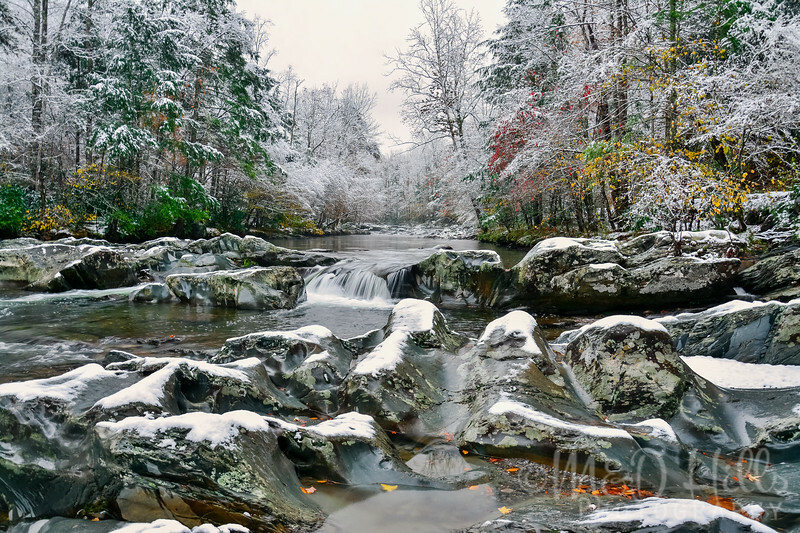 Snow blankets the ice-covered rocks late fall on Walker Camp Prong giving the illusion of pillows floating in the creek. 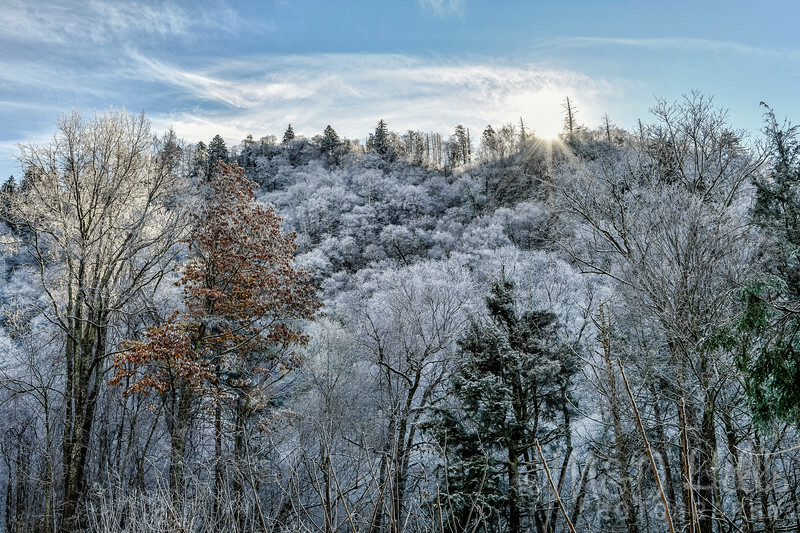 The many colors of winter on a brisk morning at Oconaluftee. 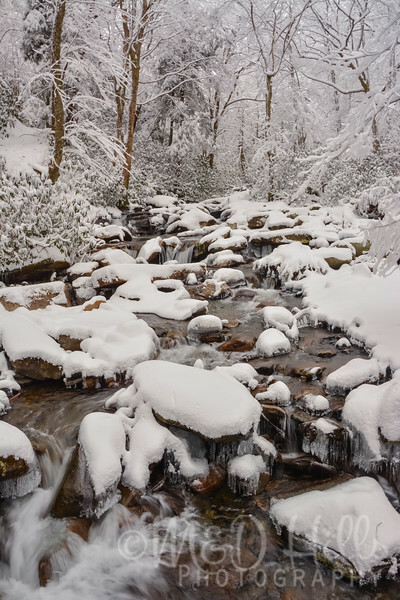 Sometimes life can be challenging, but we've always found solace and comfort in nature. 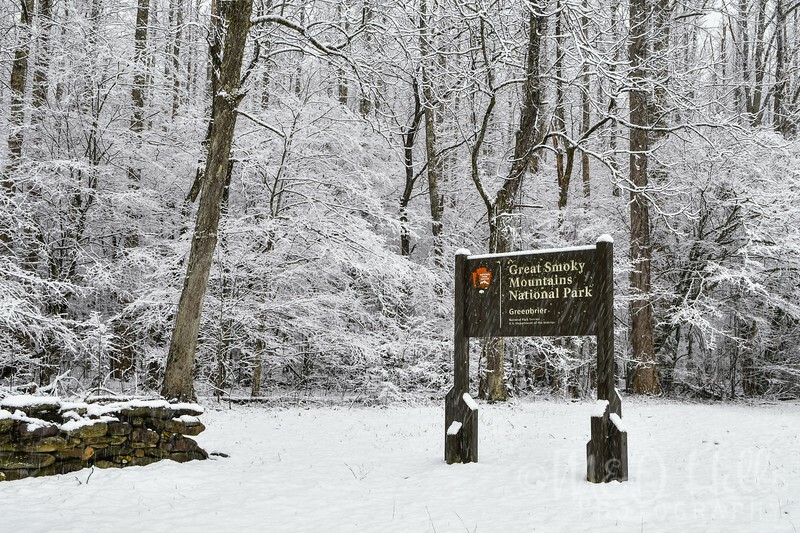 On this day, we lost a family member out of state, and without hesitation bundled up and hit the trails. 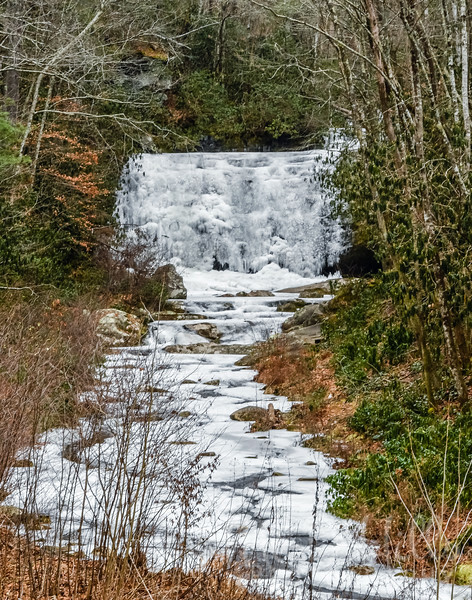 It was cold, but brisk and refreshing, and like always, discerned a sense of peace and calm. 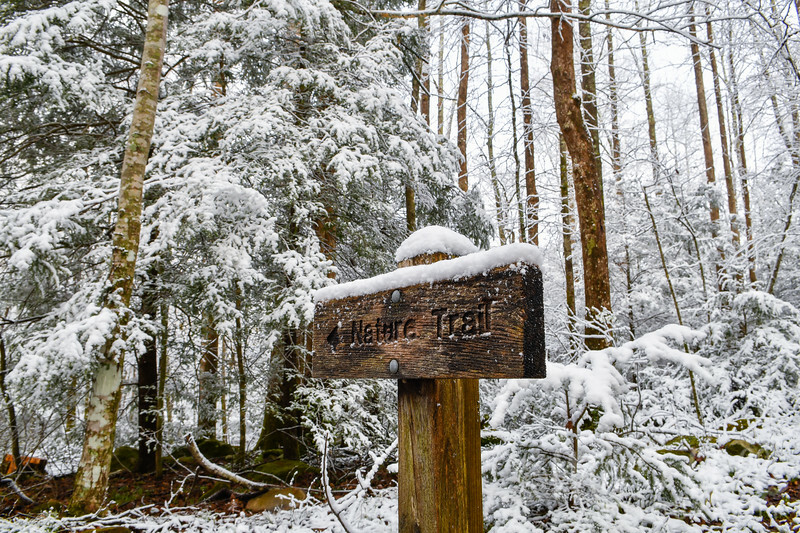 We firmly believe that nature heals, not in the sense that one might think, but certainly therapeutically. 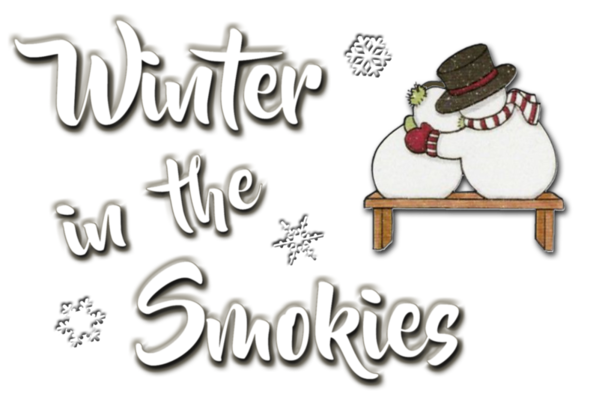 Although it was a personal time for us, we agreed to add it by request. 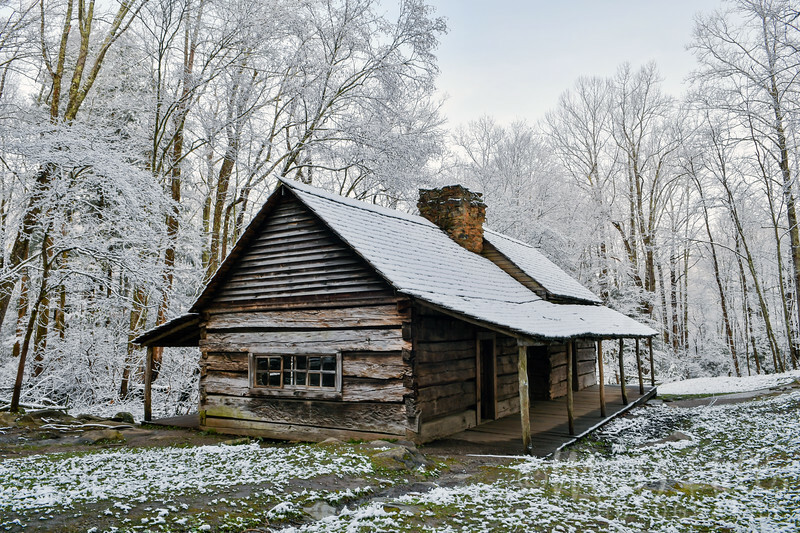 Gazing over the peaceful Lawson place after a winter hike in the forest, not a single soul was in sight. 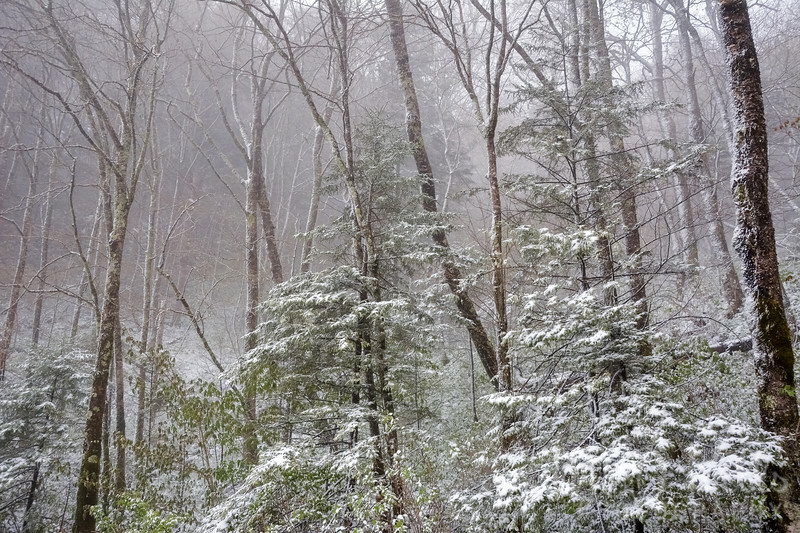 Snow arrives in the mountains on the second day of spring. 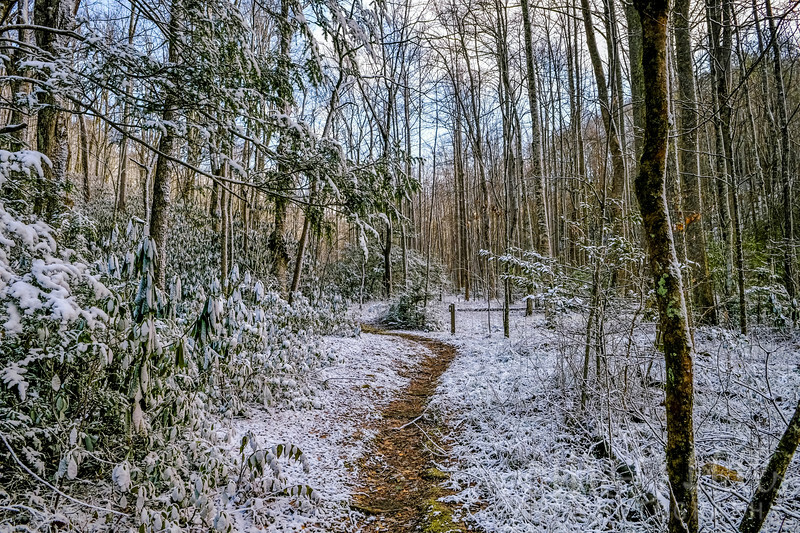 As the snow fell all morning sticking mostly to the trees, we were hiking in Elkmont when the sun broke through for the first time that day. 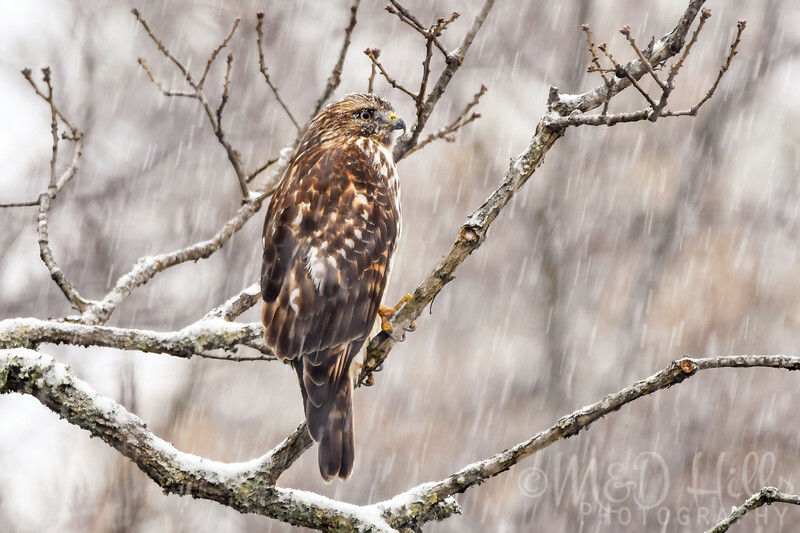 A Red-tailed hawk perched high in a tree on a wintry day in the mountains. 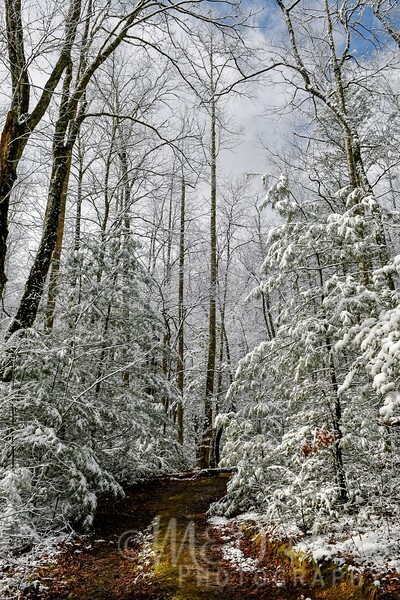 Heavy snow swirls about an old walnut tree in the Cove. 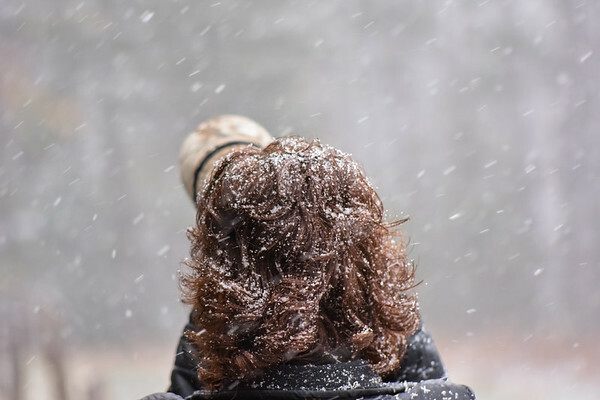 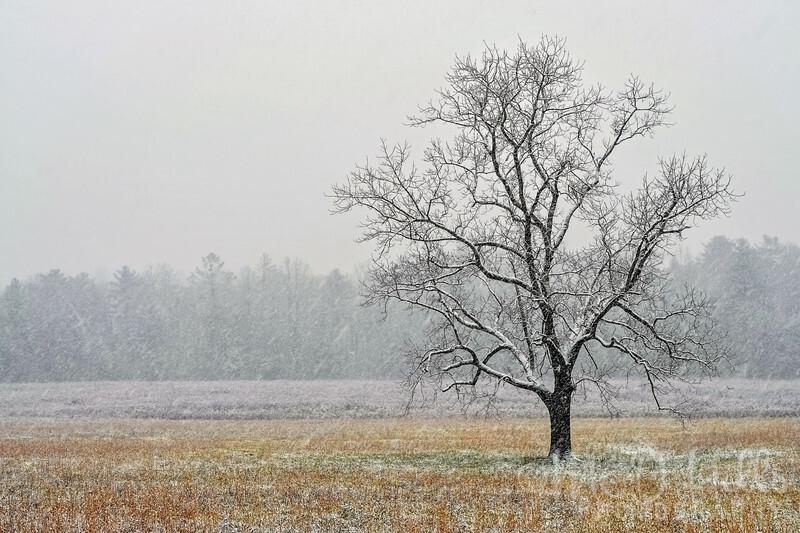 Looking out at "the Tree" as the snow gently fell, all that could be heard was the sound of our own breathing. 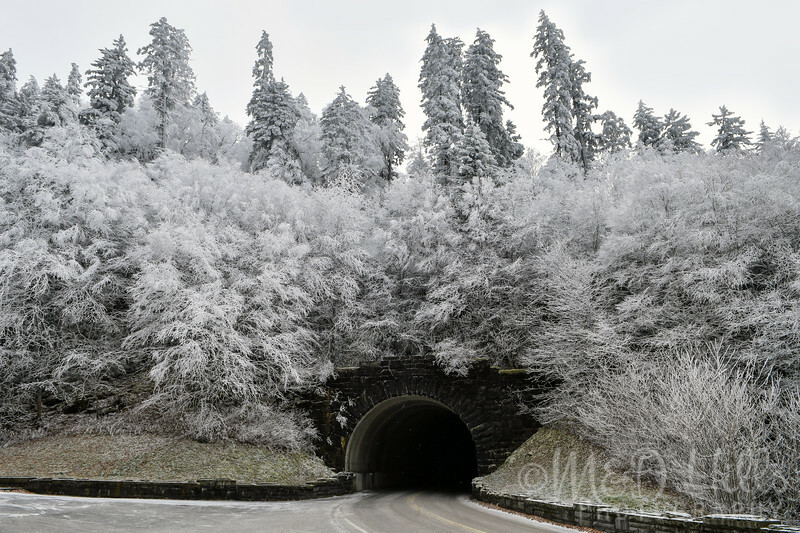 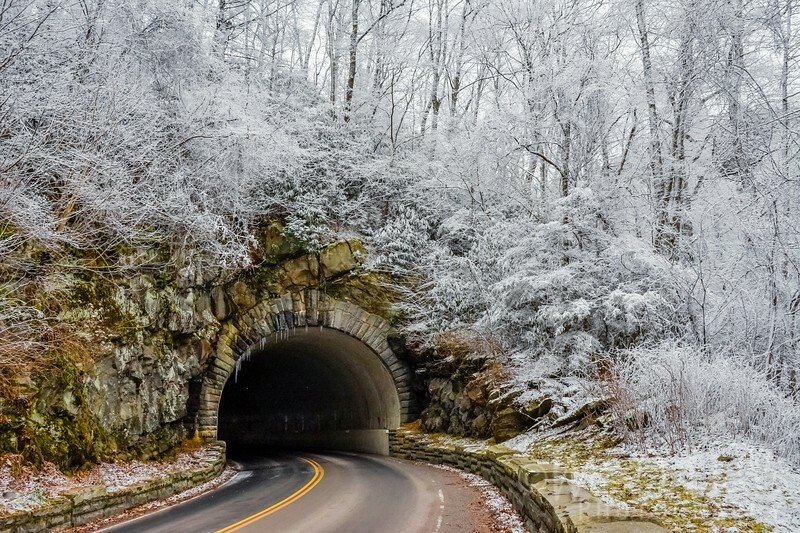 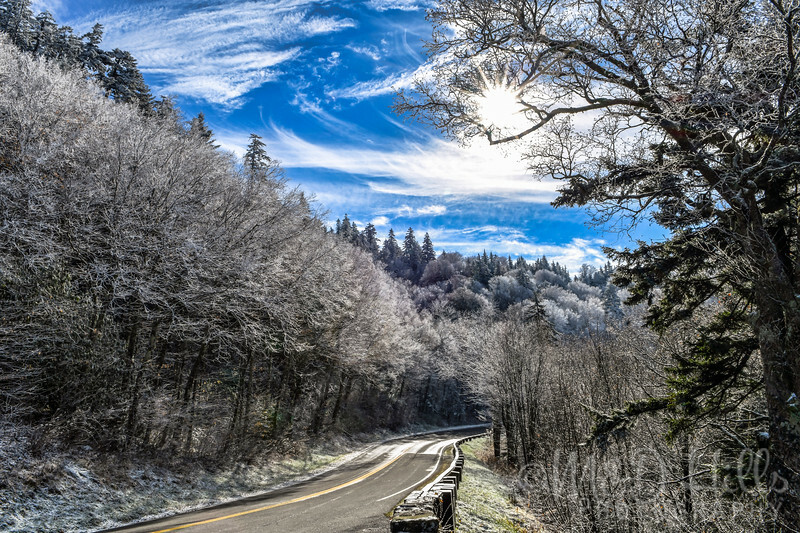 Hoarfrost surrounds the lower tunnel on Newfound Gap Rd. 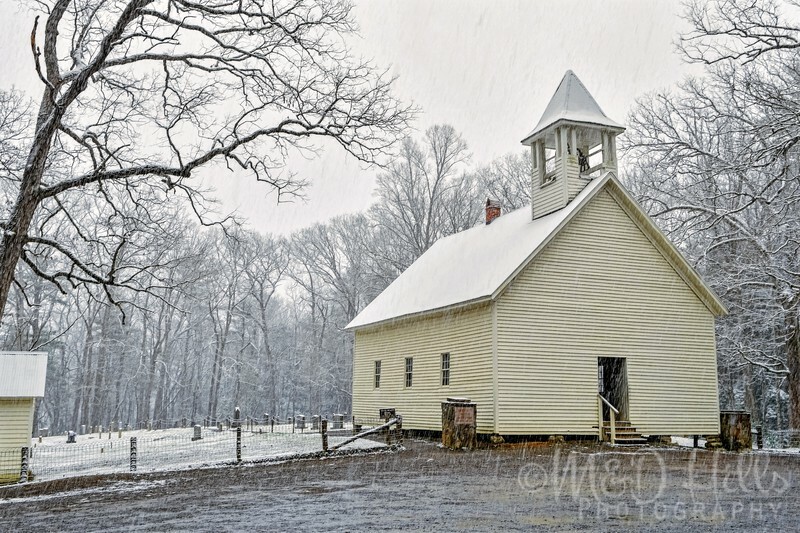 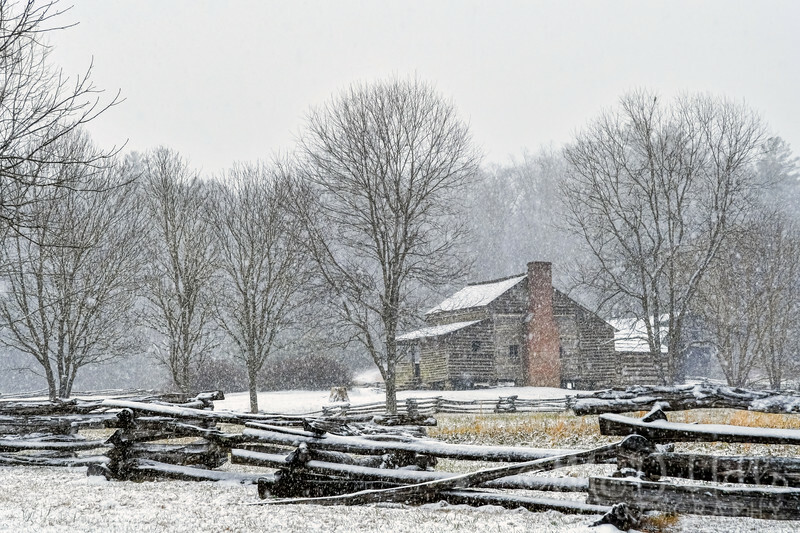 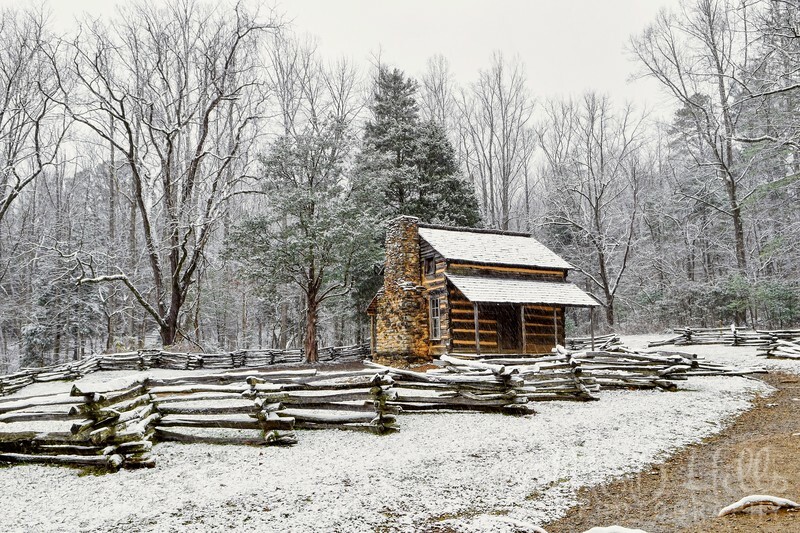 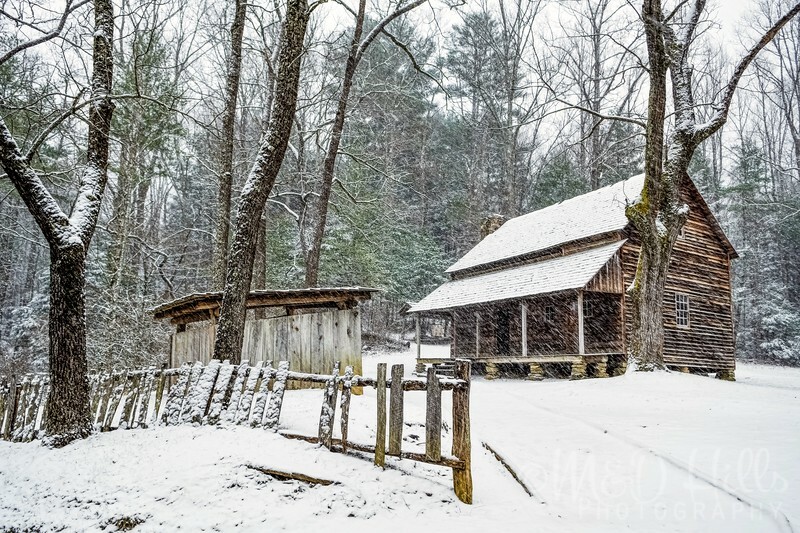 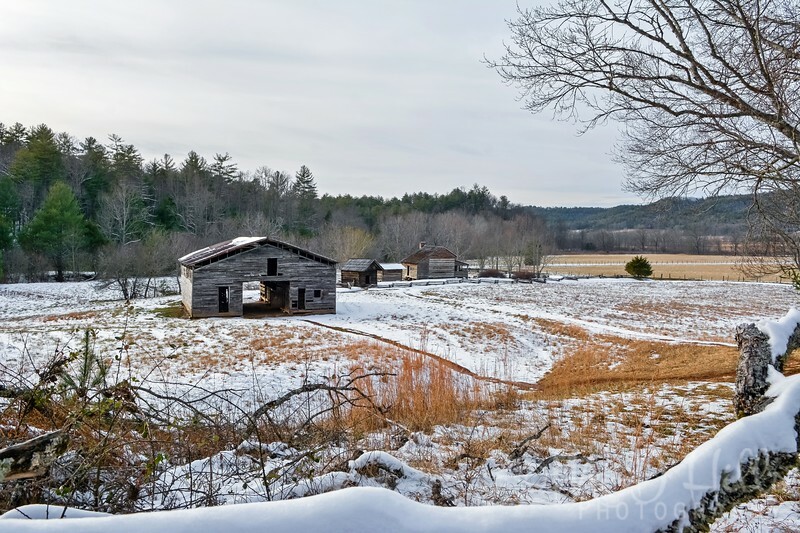 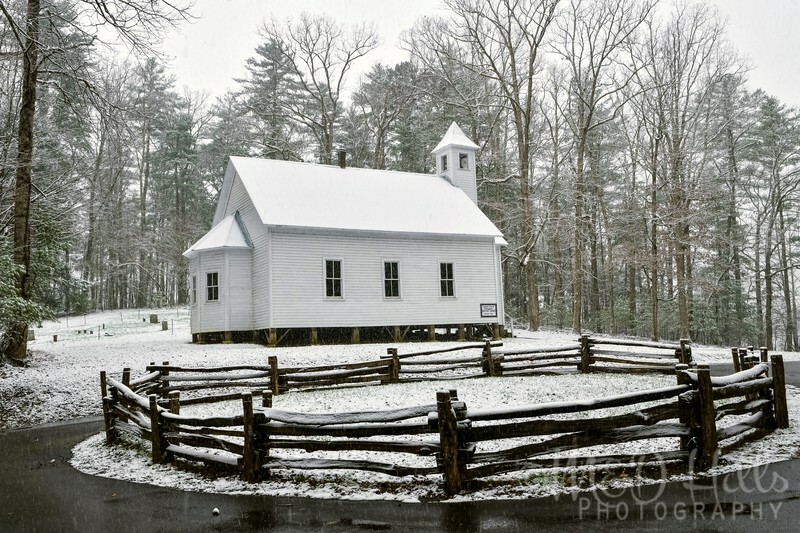 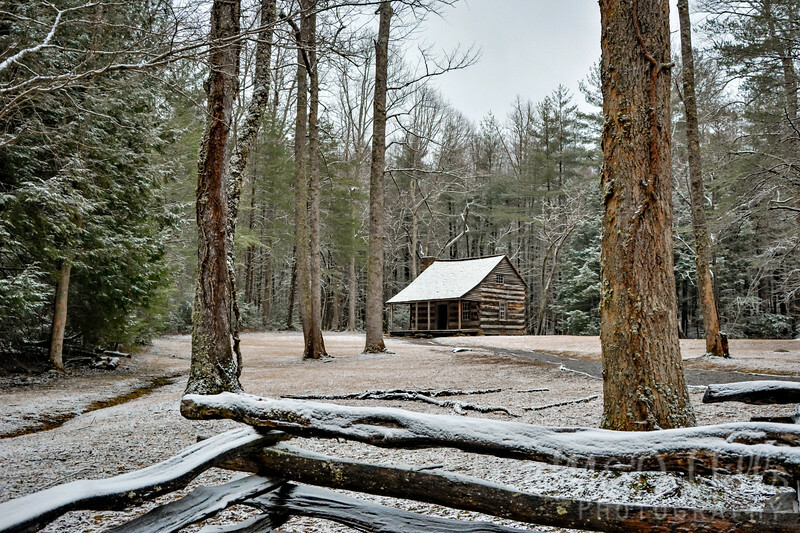 The snow flies at the John Oliver Cabin nestled in the woods a short walk from the Loop Rd.